Marvel fans will enjoy the arrival of the Fox Home Entertainment Blu-ray release for X-Men: Apocalypse on October 4th, 2016. The X-Men characters from Marvel Comics are the basis for this superhero film. The film is a sequel to X-Men: Days of Future Past and is the ninth installment in the X-Men film series. Simon Kinberg penned the screenplay from a story he conceived along with director Bryan Singer, Michael Dougherty and Dan Harris. The release week October 4th Blu-ray Cover Art Gallery for 2016 features top title X-Men: Apocalypse from Fox Home Entertainment. 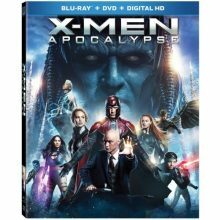 You can also get a Blu-ray 3D edition for X-Men: Apocalypse or a 4K Ultra HD version of X-Men: Apocalypse. Fox also has X-men: First Class on Ultra HD today, along with television title American Horror Story: Hotel. Universal Studios Home Entertainment has the thriller sequel The Purge: Election Year this week, along with a special release of the Despicable Me: 3 Movie Collection that features a Minion lamp. Warner Home Video is releasing the animated television titles The Venture Bros.: The Sixth Season and Banshee: Final Season from HBO Home Video this week. They have also remastered Prince’s movies for the Prince Movie Collection, with Purple Rain, Under the Cherry Moon and Graffiti Bridge also in individual releases, all with special purple cases. 4K Ultra HD catalog releases from Warner this week include Pacific Rim and The Great Gatsby. Lastly for Warner there is a repackage for the Harry Potter movies, from Harry Potter and the Sorcerer’s Stone to Harry Potter and the Deathly Hallows: Part 1 and Part 2. MGM Home Entertainment are releasing the television Blu-ray title Vikings: Season 4 Volume 1. Sony Pictures Home Entertainment has the video game inspired Kingsglaive: Final Fantasy XV this week. Showtime title Penny Dreadful: The Final Season is available from Paramount Home Entertainment. Lionsgate Home Entertainment is releasing indie titles Into the Forest and Joshy on Blu-ray this week. Other indie titles include the Korean movie The Wailing from Well Go USA and Robert Altman’s Nashville from the Criterion Collection. All in all it is a pretty big week! September 13th, 2016 will mark the arrival of the new Walt Disney Studios Home Entertainment Blu-ray 3D release for Captain America: Civil War. This superhero film is the third in the Captain America franchise. It is the thirteenth film of the Marvel Cinematic Universe and was written by Christopher Markus and Stephen McFeely. The story hinges around a disagreement over Government oversight of the Avengers. 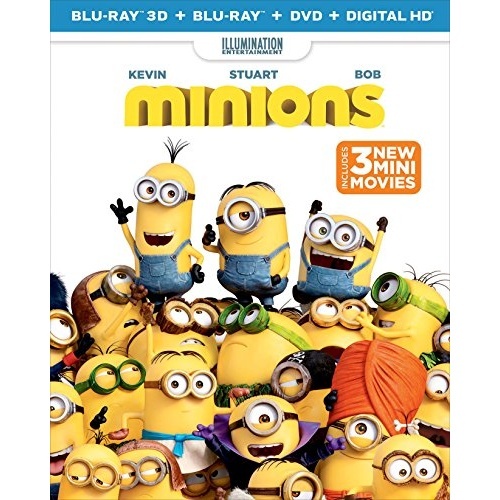 The release week December 8th Blu-ray Cover Art Gallery for 2015 features top title Minions from Universal Studios Home Entertainment. Minions was also released in Blu-ray 3D format. 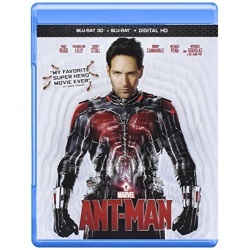 Another big title this week is the Marvel movie Ant-Man from Walt Disney Studios Home Entertainment, again also available as Ant-Man in Blu-ray 3D. Amazon also has the Marvel Cinematic Universe: Phase Two Collection from Walt Disney Studios Home Entertainment. Lionsgate Home Entertainment has the television title Hannibal: Season Three while Acorn Media has the British television show Doc Martin: Series 7. Another key television release is The X-Files: The Original Seasons 1-9 from Fox Home Entertainment. The X-Files: The Complete Season 1 through to The X-Files: The Complete Season 9 are also available from Fox this week, as is The Transporter Refueled. For classics and indies, there is You Can’t Take It with You from Sony Pictures Home Entertainment, Speedy and Jellyfish Eyes from Criterion Collection, and Salaam Bombay! from Kino Lorber Incorporated. Disney has set a street date for the Marvel Cinematic Universe: Phase Two Collection release, due on Blu-ray 3D December 8th, 2015. The set will include Iron Man 3, Thor: The Dark World, Captain America: The Winter Soldier, Guardians of the Galaxy, Avengers: Age of Ultron and Ant-Man, all in the Blu-ray and Blu-ray 3D format, plus an exclusive bonus content disc. The packaging will include a 1:1 Prop Replica of the Morag Orb that is featured in Guardians of the Galaxy. 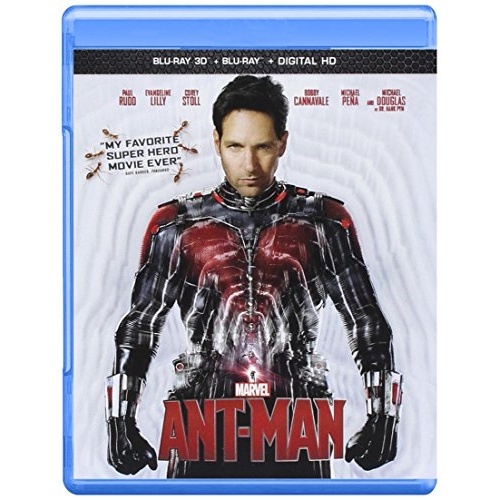 Be sure to watch for the upcoming Walt Disney Studios Home Entertainment Blu-ray 3D release for Marvel’s Ant-Man on December 8th, 2015. This superhero film is based on the Marvel characters Scott Lang and Hank Pym. The movie is the twelfth in the Marvel Cinematic Universe and was written by Edgar Wright, Joe Cornish, Adam McKay and Paul Rudd. The story follows Scott Lang as he helps protect Dr. Pym’s shrinking technology. Be sure to watch for the upcoming Marvel and Walt Disney Studios Home Entertainment Blu-ray 3D release for Avengers: Age of Ultron on October 2nd, 2015. This superhero movie is based on the Marvel Comics team the Avengers. It is the eleventh installment in the Marvel Cinematic Universe and was written and directed by Joss Whedon. This time the Avengers must work to overcome a mechanical AI named Ultron. 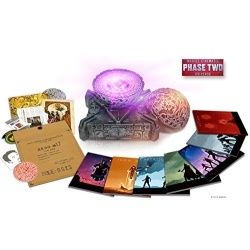 Walt Disney Studios Home Entertainment has announced the Marvel Cinematic Universe Phase 2 Collection featuring Blu-ray 3D versions of the Phase 2 movies. The collection includes Blu-ray 3D editions of Marvel movies including Iron Man 3, Thor: The Dark World, Captain America: The Winter Soldier, Guardians of the Galaxy, Avengers: Age of Ultron, and Ant-Man, along with a top-secret bonus disc. All this comes in a special packaging, collectible disc holders and exclusive Marvel memorabilia. No formal street date announcements this year, but it should release in time for the Holiday Season. You can currently pre-order this title at Amazon for $249.99. Guardians of the Galaxy has been announced by Walt Disney Studios Home Entertainment, scheduled for a December 9th, 2014 release. This sci-fi superhero film is based on the Marvel Comics superhero team of the same name, and is the tenth installment in the Marvel Cinematic Universe. 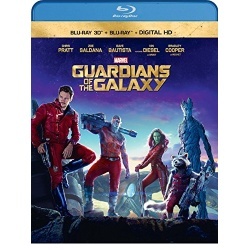 The story follows earthling Peter Quill, who forms an uneasy alliance with a group of extraterrestrial misfits and criminals who are on the run after stealing a mysterious and coveted orb. The film became a critical and commercial success, grossing over $654 million worldwide. A sequel has been announced and is scheduled to be released on July 28, 2017. The cast includes Chris Pratt, Zoe Saldana, Dave Bautista, Vin Diesel, Bradley Cooper, Lee Pace, Michael Rooker and Karen Gillan. Guardians of the Galaxy was directed by James Gunn, whose previous films include Tromeo and Juliet. The movie received great reviews, with a Rotten Tomatoes score of 91%, and an IMDb score of 8.5/10. Planned features for the disc include a stereo MVC 1080p video encode presented at 2.40:1, along with lossless 7.1 DTS-HD Master Audio soundtrack. A commentary, deleted scenes and production featurettes are also planned. The retail price is $39.99, and you can pre-order it from Amazon for $24.99, saving 38%!